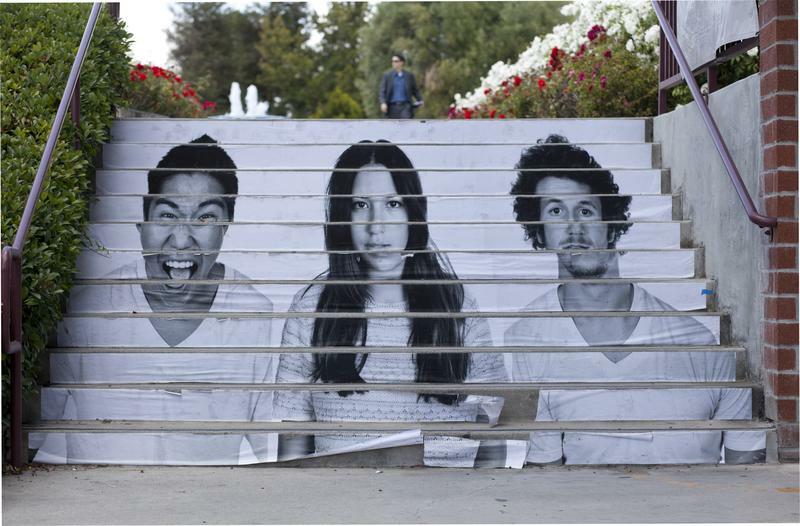 Joining with French street artist and TED prize winner JR, Biola University is telling their story by plastering mural size self-portraits of students, staff and faculty on structures around campus as part of JR’s Inside Out project — a global art project that focuses on turning communities inside out, sharing their untold stories. 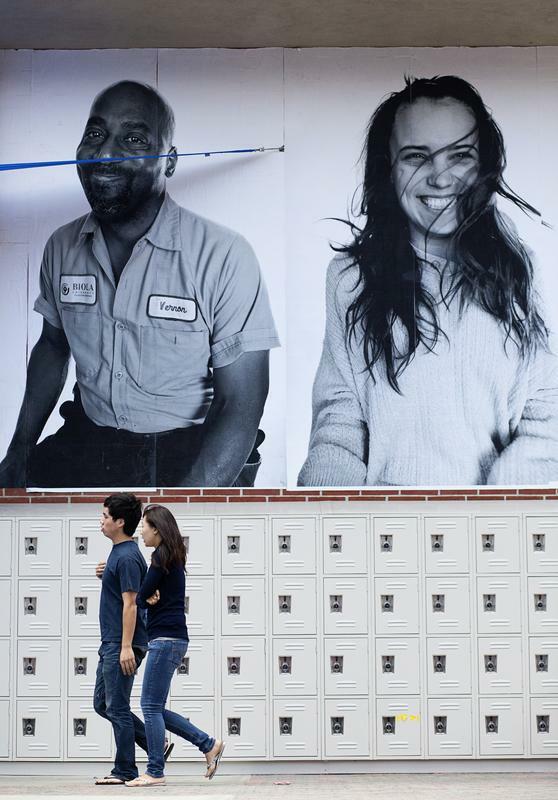 Little known to the world, the day JR’s wish was granted by TED, a photobooth had already been set up at Phantom Galleries in Long Beach, Calif. for anyone to come and have a portrait taken and printed that day to post in their community. Students from Biola professor Kurt Simonson’s Contemporary Photo Practices class field tripped to the gallery opening day to participate. 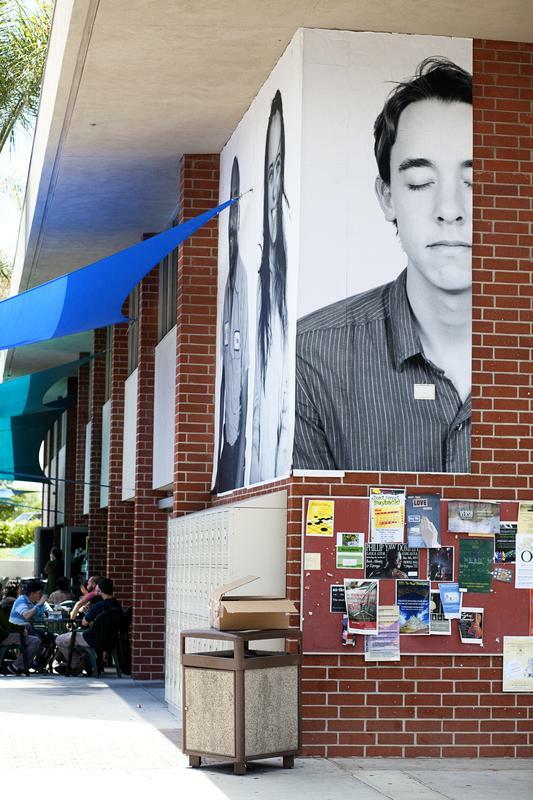 “Upon returning to school, the class knew that they had stumbled upon something exciting and important; we had just participated in day one of this worldwide art project,” said Simonson, whose class posted their 5 x 5 prints on Biola’s art building that day. “The response was so positive, and the impact of the images was so striking, that the class quickly decided to make this project something even larger,” he said. Biola’s Contemporary Photo Practices class invited everyone in the Biola community to be photographed which many of the images have now been converted into massive posters installed throughout Biola’s campus. During the past week, the class has been busy placing these posters on various structures around campus including the side of the library, Student Union Building, as well as various flights of stairs. Not only does the project close the gap between a diverse student body, but it brings the small school closer to a global art movement. 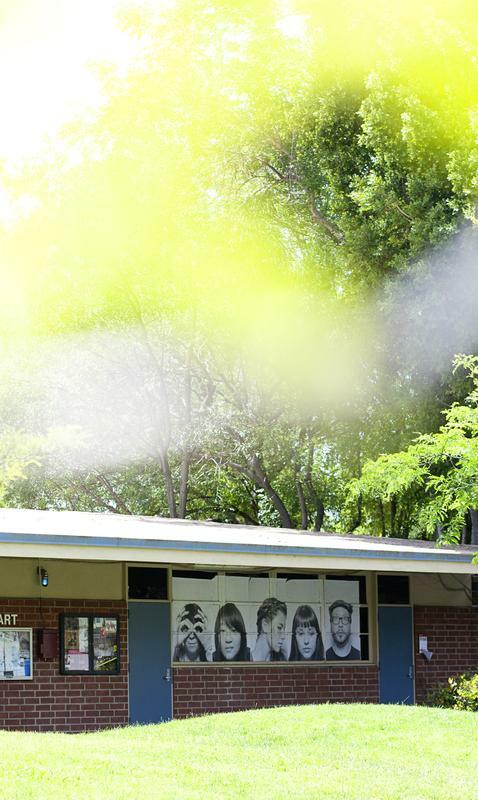 “The Inside Out project is a way for Biola's community to get directly involved in a significant movement in the art world as of now, which is street art,” said Rachel McCord, a participating student in the project. 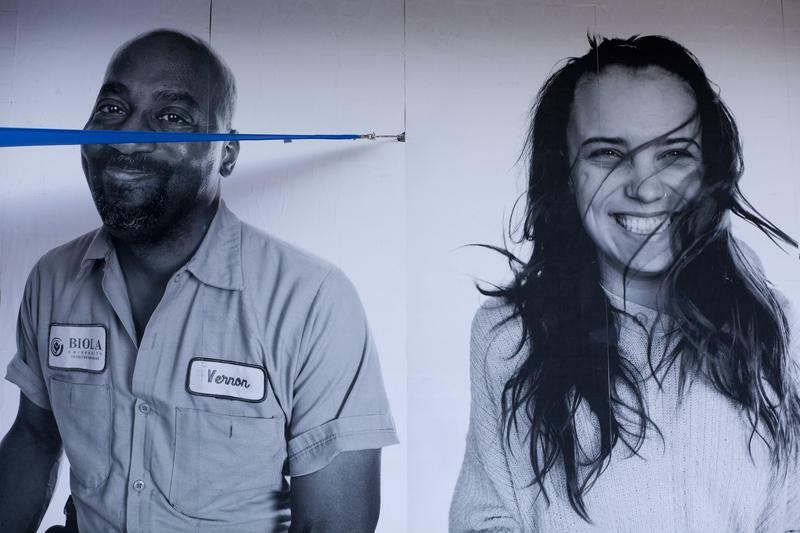 The portraits made into large prints were chosen based upon what the students in Simonson’s class found most interesting. 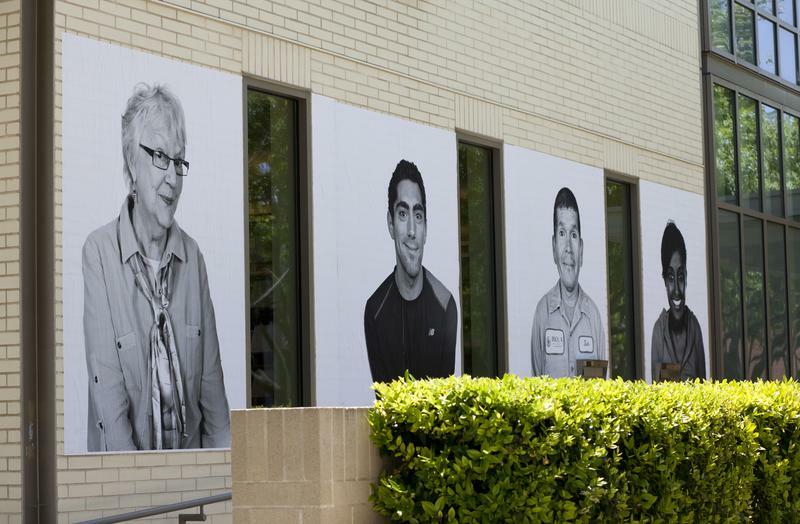 “The photos that we chose to enlarge and install truly did what we wanted to do the most: celebrate the people of our community, across many layers of diversity including roles, gender, race, culture, and even things that go beyond the external,” said Simonson. French street artist JR launched the “Inside Out” global art project in March of 2011, and what started as a small street project, has now become a world-wide phenomenon. For more information and examples of Biola’s participation, visit http://biolainsideout.tumblr.com/.